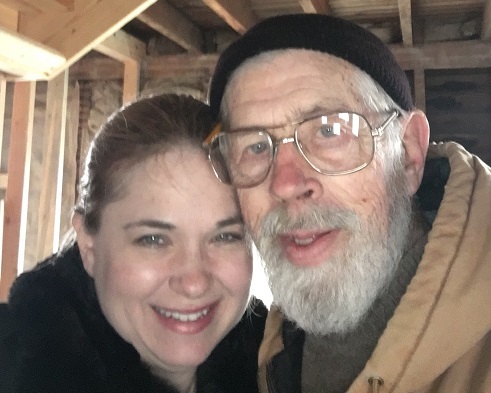 As I write this, I am in rural Missouri visiting my biological father. I met him when I was 28, and have seen him perhaps 10 times since. He has been married to my wonderful, kind-hearted, patient stepmother for more than 40 years now. In the relatively rare position of having two sets of parents as an adult, one of which I didn’t know as a child, I can compare how quickly my mother can get under my skin with how my father doesn’t. I have to remind myself of the points below when my mother’s personality catches me off guard, despite how much I love and appreciate her. But as for my father, I can shake my head and wonder how anyone can think as he does about political or other topics, but it doesn’t bring up a flicker of emotion. Nothing he says or does really pushes my buttons, because I don’t have any with him. I can calmly accept the things he does that I judge as quirky, strange or wrong. I watch myself smiling it off because I have no skin in the game. I really love my mom. We get along nicely now. She is very dear and important in my life. Yet for years, I was conflicted over the relationship. I have come to realize a few things that have helped me to be more loving, patient and kind with the woman who spent so many years and so much energy raising me, her most difficult child. Perhaps this will help you, too? Parents have their own history. They had their own parents – who may or may not have been loving – and their own genetics, illnesses and fears. They have traveled their own path and they became the people their lives seem to have driven them to become. Could they have fought against it? Apparently not! A generation ago, people had different ideas about how children should be raised. If you mix in the effects of education, religion and/or poverty, you create a very different environment than the one in which you and I were raised. In Victorian times, children were see as basically short adults, and expected to quickly take on responsibilities. Now we prolong childhood into a person’s 20s in many cases. The best you can do is determine to raise your own children differently than you were, to the extent that you didn’t like your childhood. It’s too late to change yours. People born before the 1980s didn’t have access to computers. Oddly, my stepmother at 76 is quite good at her computer. My mother at 74 can’t turn one on. My mother has hundreds of books. My stepmother only has the Bible and a book of Whitman’s poetry. Think of how much you have learned from having access to the enormous resource of your computer – and how subtly or profoundly the explosion of knowledge availability has changed the way you think, believe and behave. Was it like that for your parents? If you weigh nature vs. nurture, and you know even a little about what their childhood was like, evaluate the journey your parents have been on since before you were born. When you fold in their cultural elements, economic situation, education level of their parents, the lack of access to modern knowledge, and the nature of the people who raised them, it becomes easier to see our parents with mercy, maybe even pity, and disconnect the triggers that irritate or alarm us. It becomes easier to see them as humans, struggling to get by in the world. Our relationship with our parents is the deepest of our lives. For many people, it is also the longest of our lives. As adults, we have the opportunity to observe ourselves reacting to them. We are at complete choice to change how we feel – in the moment and later – when we’ve had time to reflect on all the influences that created them. Like this blog? Hate it? Agree? Disagree? I’d love to hear your comments below! Posted in Featured, Managing Emotions, Relationships by Wendy. I loved this article! Very insightful! Thank you for your kind support of this page and my work. Wishing you much happiness in life and in love. You deserve it.